Lot 708. 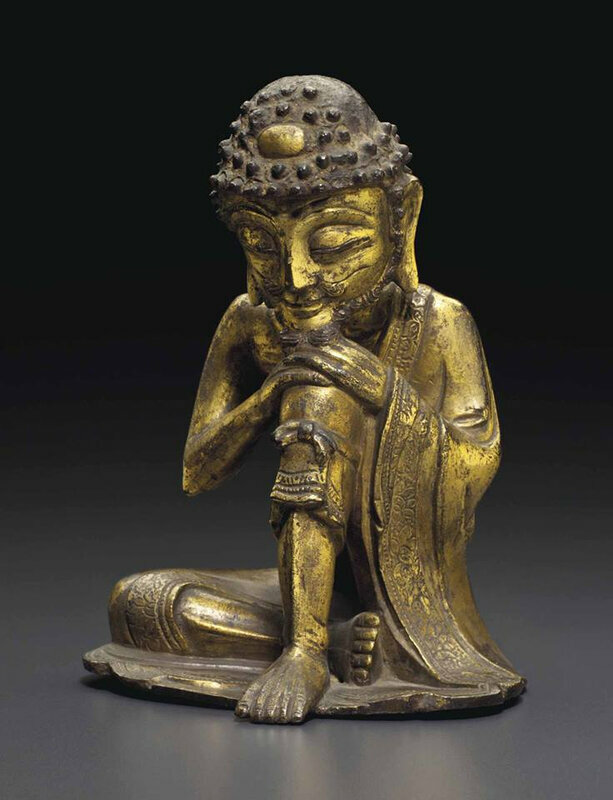 A rare gilt-bronze miniature buddhist votive group, Liao-Yuan dynasty, 12th-14th century; 4 in. (10.2 cm.) wide. Estimate USD 2,000 - USD 3,000. Price realised USD 4,000. © Christie’s Image Ltd 2014. 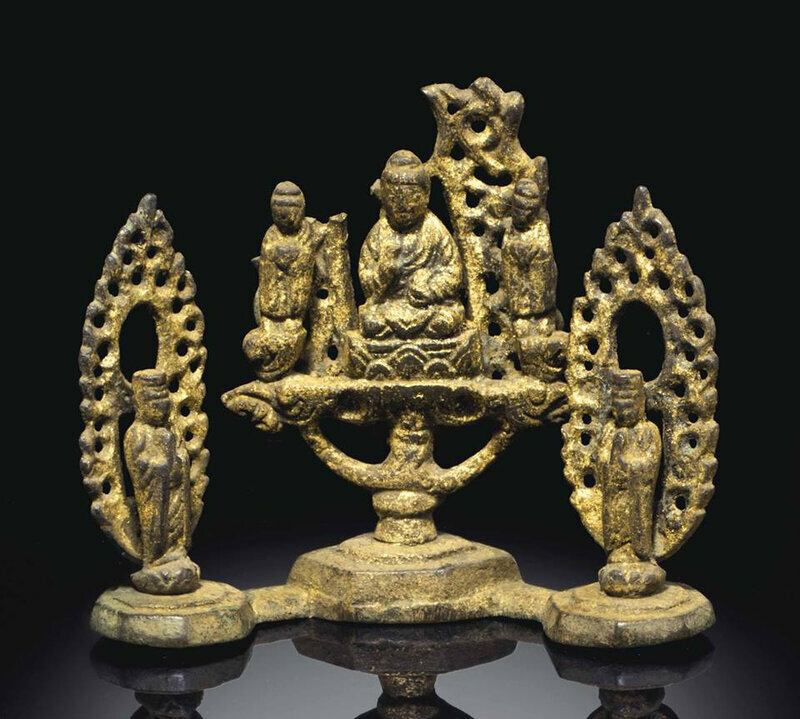 The central figure of Shakyamuni Buddha is flanked by two bodhisattvas, all on lotus bases supported by the tripartite lotus stem that rises from the central hexagonal base which is attached to two similar flanking bases on which stand disciples. All are backed by openwork aureoles. 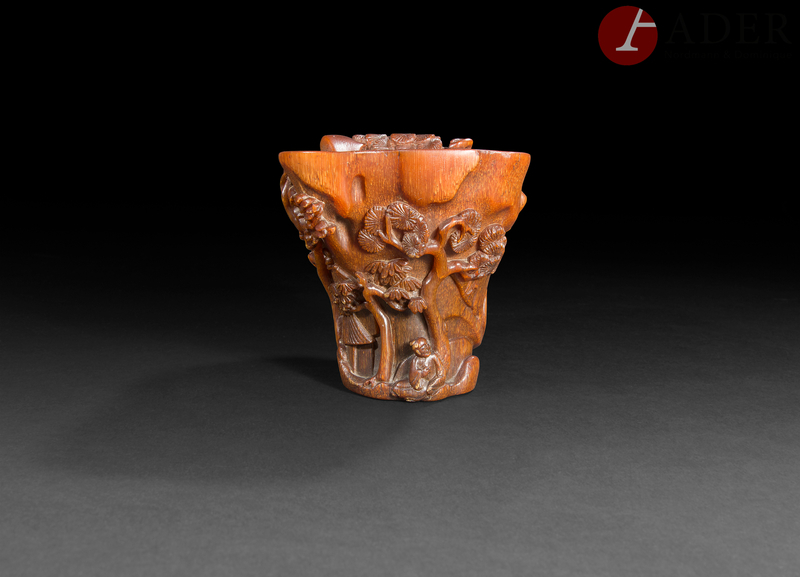 Note: A very similar group, dated to the Liao dynasty (AD 916-1115), which comes from a Yuan dynasty site in Beijing, is illustrated by Han Yong in Buddhist Statues I, Beijing, 1999, pp. 64-65, no. 26.